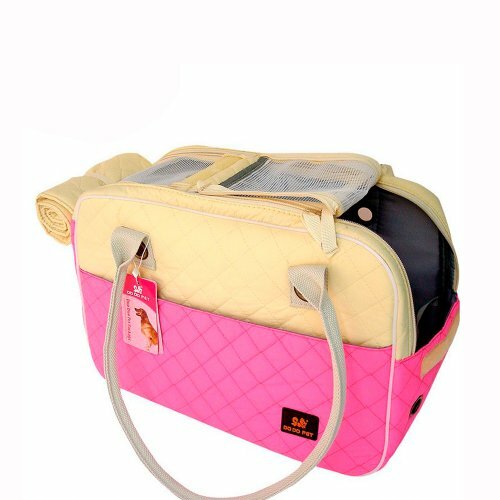 â€¢ If you are an animal fan, you would like treat it as your baby, one sort of our exceptional pet items is the carrier hand bag. â€¢ This sort of bag can hold the entire canine and just keep the head outside. And special design guarantees pets breathe easily and feel comfortable in it. â€¢ We make sure that you will like it much with the extra sturdiness and elegant appearance. â€¢ Designed for pets'and owners'comfort. â€¢ Designed for airline company approval. â€¢ Material: Nylon, Dust fabric and Washing cotton. 40cm(15.7"L)* 22cm(8.7"W)* 28cm(11"H)-Ideas for Pets as much as 8KG. 48cm(18.9"L)* 24cm(9.4"W)* 33cm(13"H)- Ideas for Pets as much as 12KG. â€¢ 1 x Animal Provider.